Are You Aware of Conditions of Badness? Oh, how we love to be right! People hate to be wrong, we resist admitting mistakes and have a hard time apologizing for our wrongs. This often keeps us from making improvements. Nothing against the Strengths movement of personal development, but what we also need is a little Warusa-Kagen. Warusa-Kagen is a Japanese term (悪さかげん) that refers to things that are not yet problems, but are still not quite right. Literally, it means “condition of badness” or “how bad things are” in the current condition. This is often expressed as the small abnormalities that are all around but unnoticed because they have not yet turned into larger problems. 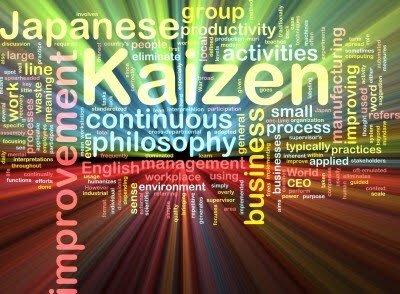 They can be an effective starting point for improvement activities – kaizen – because if left untended they may develop into serious problems. I am a proponent of recognizing and developing one’s strengths, and this is true for individuals, teams and organizations. There is a simple activity I do early in my client relationships in which I ask them to make a table with two columns. In the left column, list qualities and characteristics that you see as strengths. Then, in the right column, list qualities and characteristics that you need to develop. Nearly all the time, people will come up with two completely different lists. I find this interesting. Clients then rate all qualities from both lists based on their current potential, from a scale of 1 (pitifully poor) to 10 (world-class). Five (5), of course, is considered average. Where do you have the most to gain, I ask, moving a 3 to a 5, or moving an 8 to a 10? Most people say developing from a 3 to a 5 is more powerful. In other words, their goal is to be average!!!! Yet, upon reflection, all my clients are striving to be world-class in some area of their lives. This becomes a powerful lesson to focus on developing your strengths. The world needs more World-Class people, or what Seth Godin would call Linchpins. I learned about Warusa-Kagen by reading Jon Miller‘s blog on lean practices and it’s a term used mainly, but sparingly, in Lean Manufacturing and Quality circles. Not only are lean processes severely underutilized in non-manufacturing environments, I see Warusa-Kagen as fundamental to personal development as well. I find the most successful people are often unsatisfied but seldom dissatisfied (big difference) with various aspects of their lives. In other words, they are content yet constantly pursuing more – often striving toward quite challenging goals to change, improve, grow regardless of current success. They build on their strengths but find opportunity for growth and even greater happiness through the recognition of “conditions of bad.” Without “shoring up” their weaknesses, they can never fully realize their strengths. Warusa-Kagen is important not only to understanding the current condition and how bad it is or where the problems are, it can be a fundamental mindset for daily planning. Even when things appear to be running very smoothly, we need a critical eye for warusa kagen. Performing daily, weekly and monthly checks of one’s assumptions, attitudes, habits, goals, values, results and even purpose help to reinforce the Warusa-Kagen mindset. Warusa-Kagen requires a daily revolution of awareness about a more ideal condition, process or even character, and how far removed from that condition the current condition really is. Warusa-Kagen is recognizing untapped potential remains at all times at The Intersection of Purpose and Now. This entry was posted in continuous improvement, habits, kaizen, personal development, warusa-kagen. Bookmark the permalink.